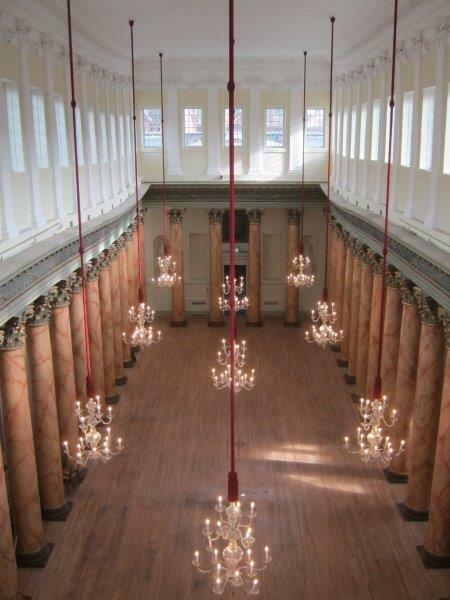 Mason Clark Assocates worked with York Conservation Trust to restore the ceiling of the Grade I Listed Assembly Rooms in the centre of York. 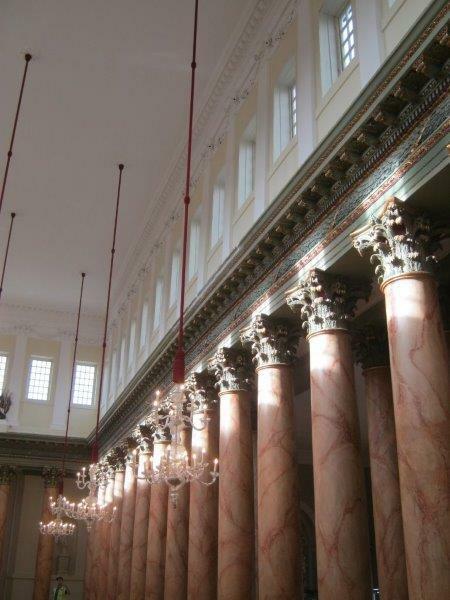 Concerns had been raised following redecoration works, when cracking and deflection to the heavy lath and plaster ceiling had been observed over this spectacular double-height space. 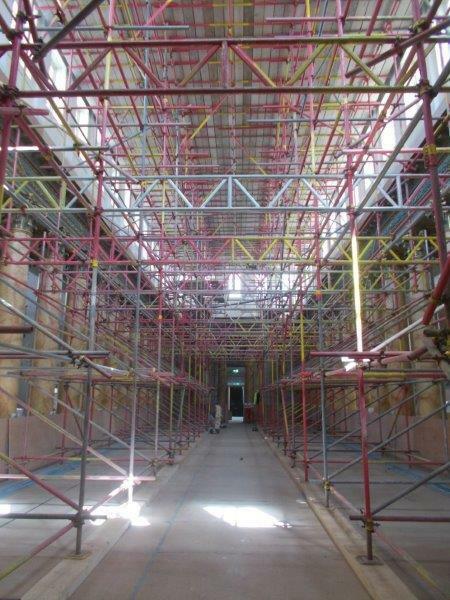 MCA carried out investigation work to the roof and floor timbers, specified structural monitoring, performed 3D laser scanning for archaeological recording and detailed internal repairs to the roof structure. We also designed a new external access ladder and platform. The Assembly Room re-opened in November 2017. Internal birdcage scaffold over existing timber floor. Complete view from high level.